"In the battle to win public opinion, the Israeli army has created a special combat camera unit. Soldiers have been trained to use cameras in an attempt to show their side of the story. 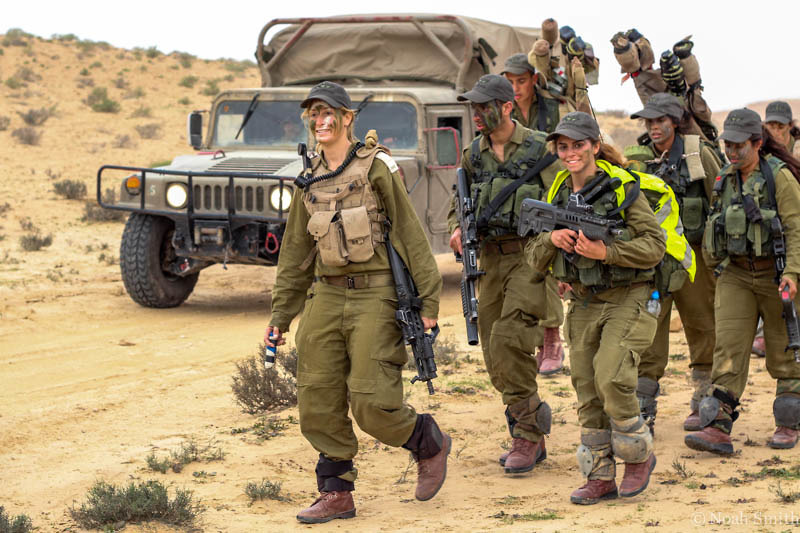 Matthew Kalman talks to the first round of graduates – all combat soldiers – who have completed a seven-month training programme before joining frontline units"
Israeli soldiers in the co-ed Karakal combat unit on their final hike of basic training. TEL AVIV - Lilting reggae music filled the air as young children and their parents entered the performance room for the regular Saturday afternoon show. Seating was arranged along each wall, leaving an open space in the middle. Large windows allowed for ample natural lighting, as well as views of the nearby red tile roofs. As the dancers walked in, the scene could well be set in Santa Barbara, instead of Tel Aviv, Israel. TEL AVIV - Michigan Governor Rick Snyder met with Israeli Prime Minister Benjamin Netanyahu, as well as a host of other high-ranking Israeli officials and business leaders, during the initial days of his investment mission to Israel as he continues to try and build business ties between the Jewish state and Michigan.